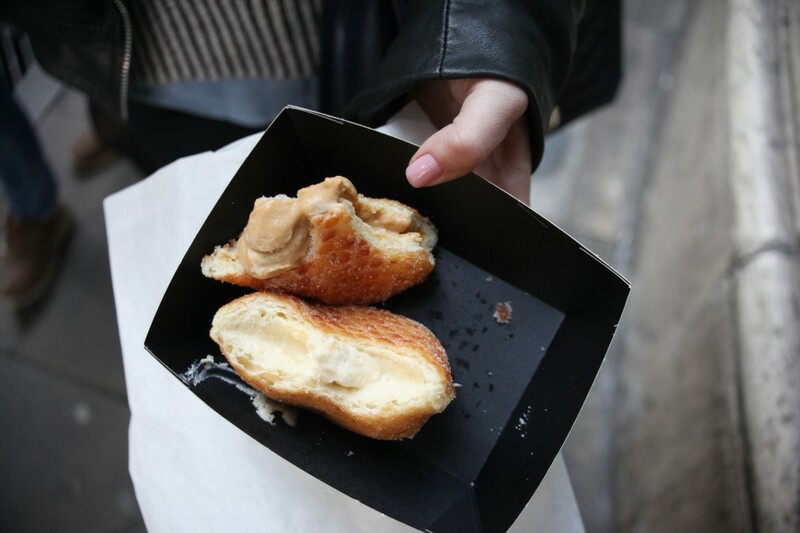 If you’re trying to watch your figure, maybe donuts aren’t for you. 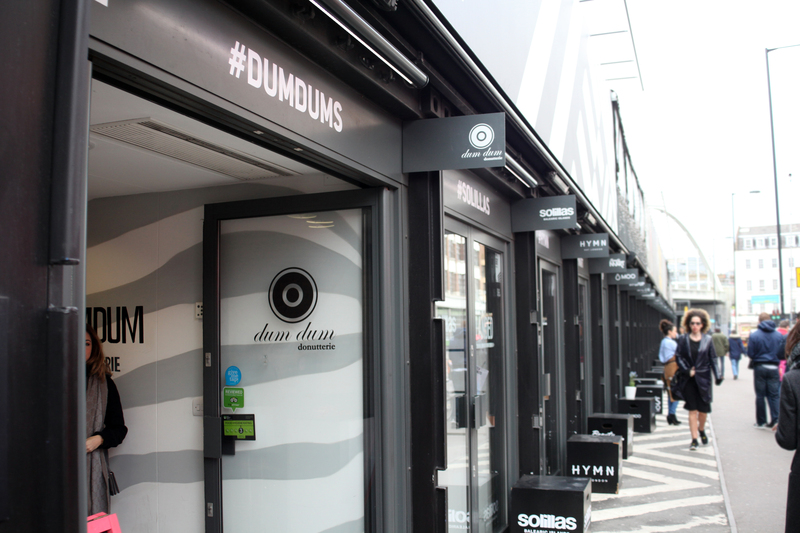 But, if your craving for sweets gets too overpowering, then maybe you should take a trip to Dum Dum Donutterie. 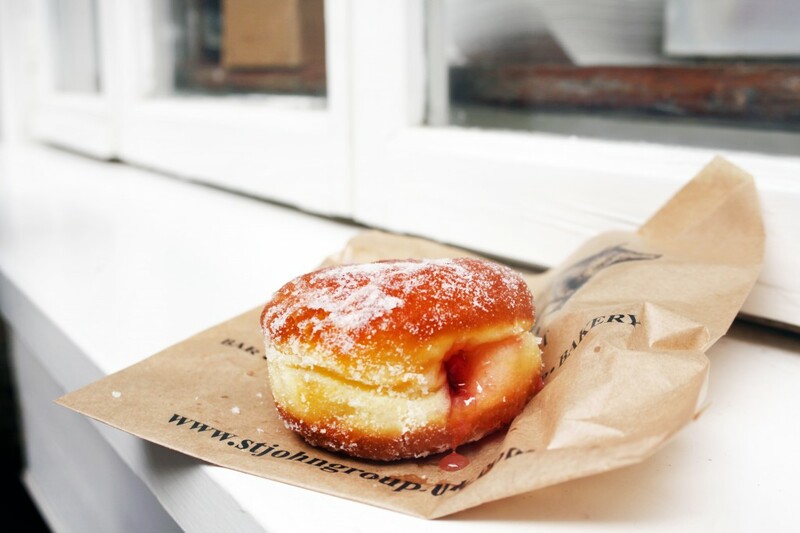 At this Shoreditch-based pop-up shop, they bake, not fry, the donuts, thus giving them half the fat and calories of a regular donut. 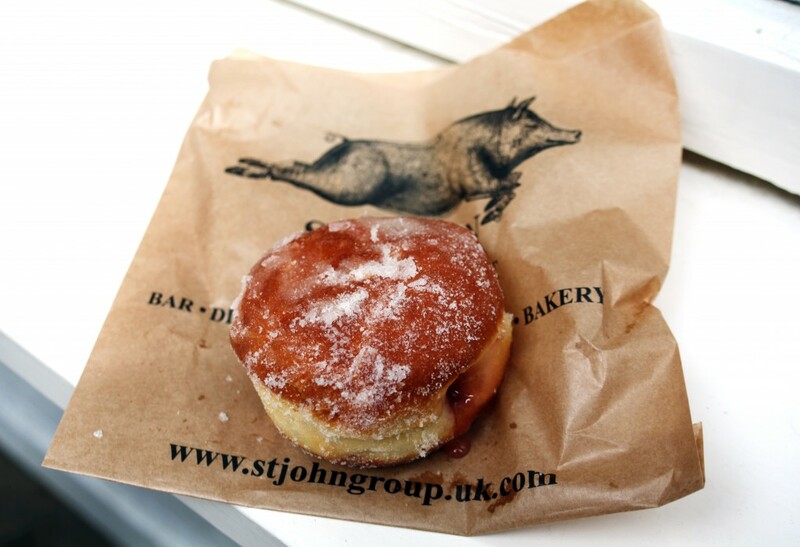 I had wanted to come here because most donuts in London are filled with jelly or pudding, so I decided to try a non-filled donut here. 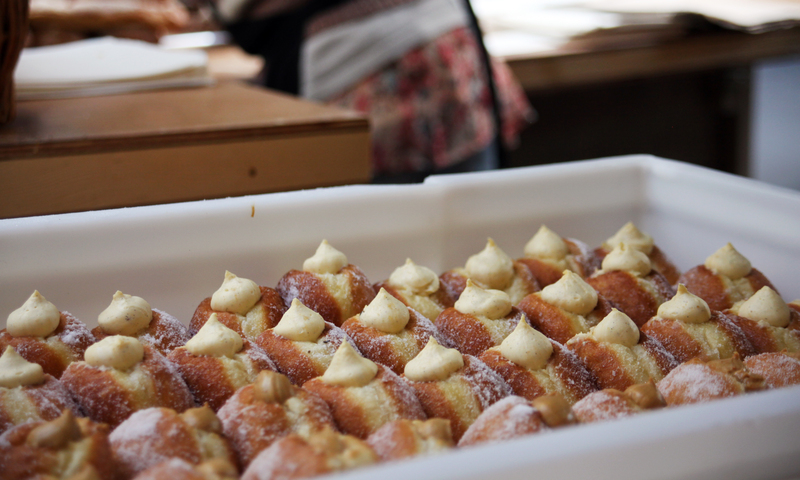 The donuts are inspired by chef Paul Hurley’s stints in France and Italy and takes cues from a French patisserie. 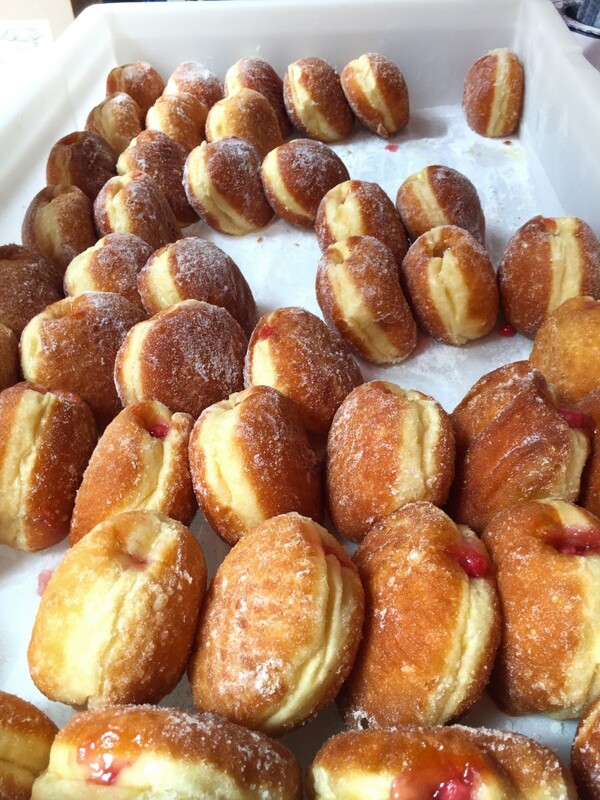 So what better name to call this baked donut haven than a Donutterie? The toppings were colorful and eye catching. 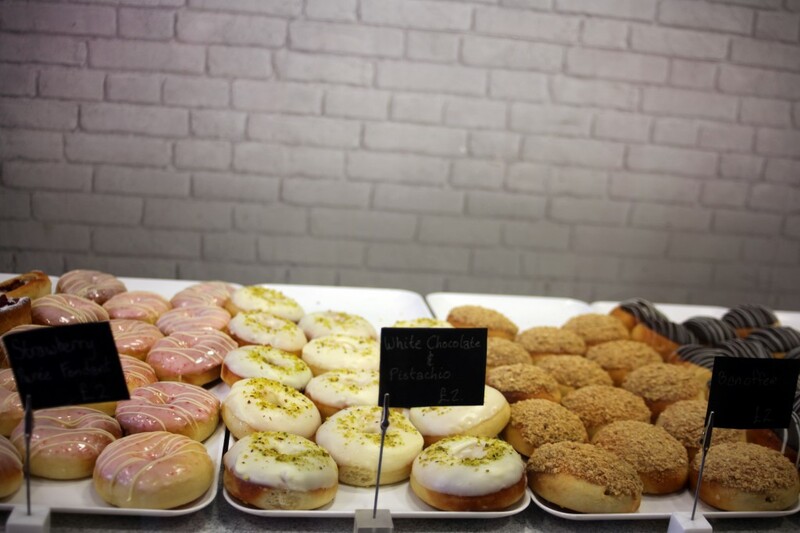 I grabbed a White Chocolate & Pistachio donut as well as a Strawberry Puree Fondant donut. 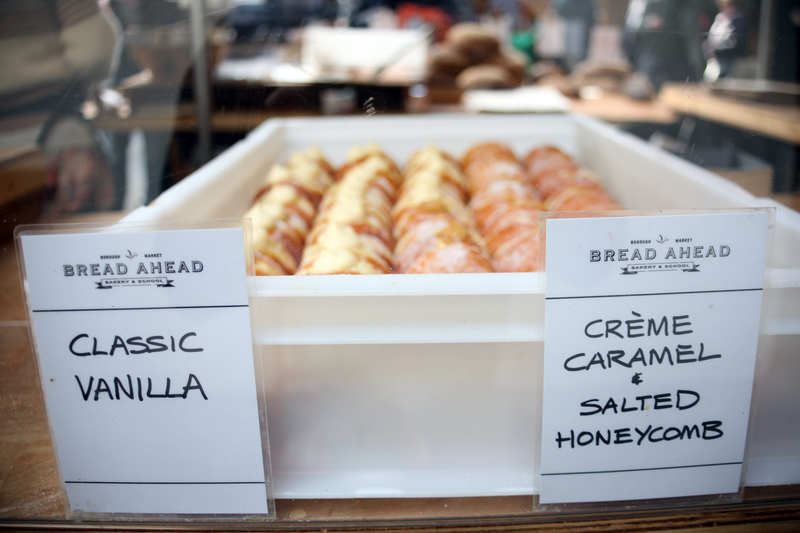 They also do cronuts, filled donuts, and other donut-like baked goods. Biting into each one, I could tell that they were not as greasy as most donuts, a byproduct of not deep frying them in a solid oil. 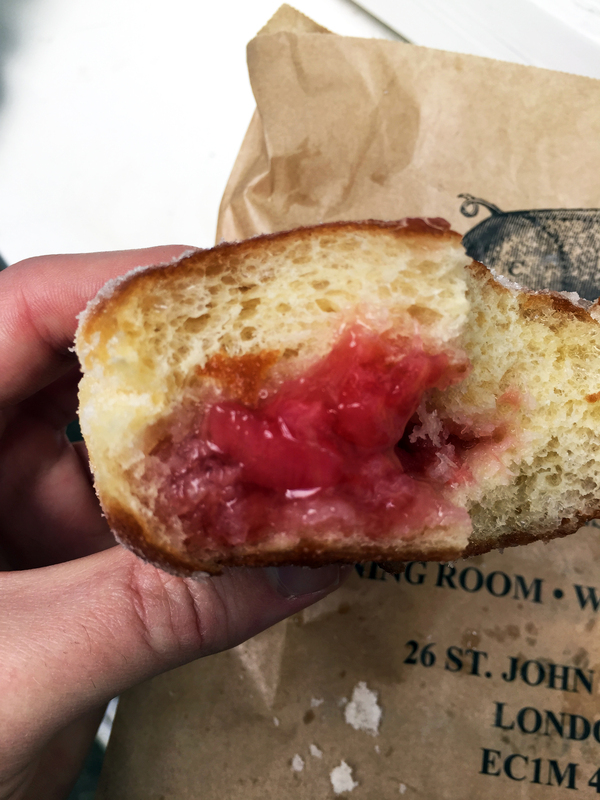 Though, they lacked the lightness and the fluffy quality of a fried donut. But the glossy icings were surprisingly good and flavorful, without being overly sweet. 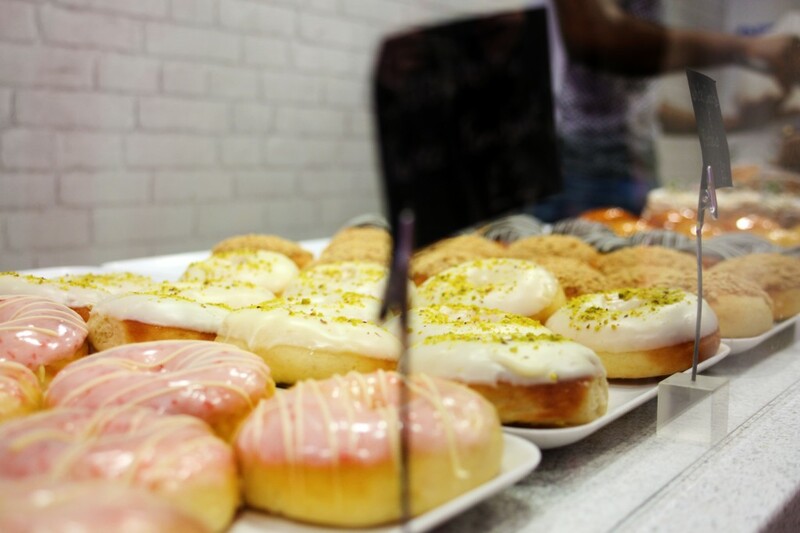 I’ve been to London before and have sampled some donuts (mainly in cafes or along Portobello Road), but I’ve never purposely visited some of their top donut shops. That was all about to change with this trip across the pond. 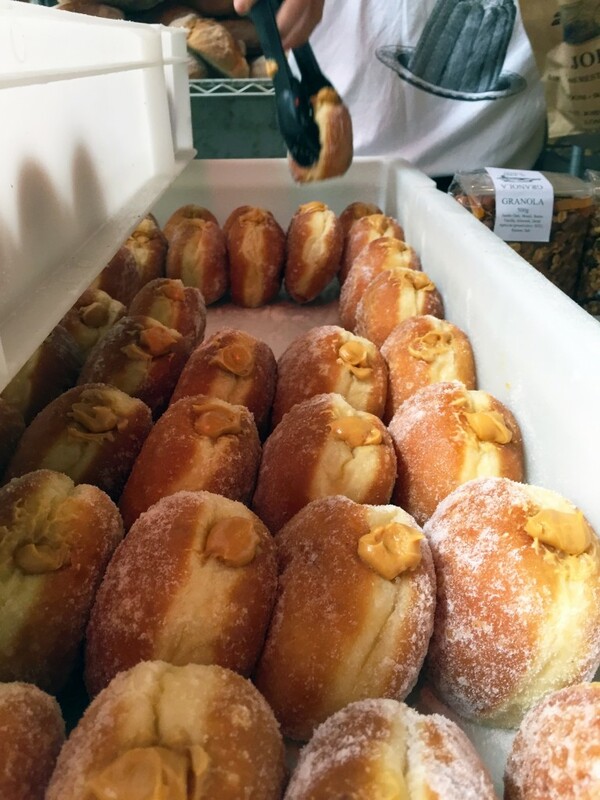 It would be a market-hopping, food-binging trek that would get me to three top donut shops and allow me to appreciate the culinary art that are British donuts. 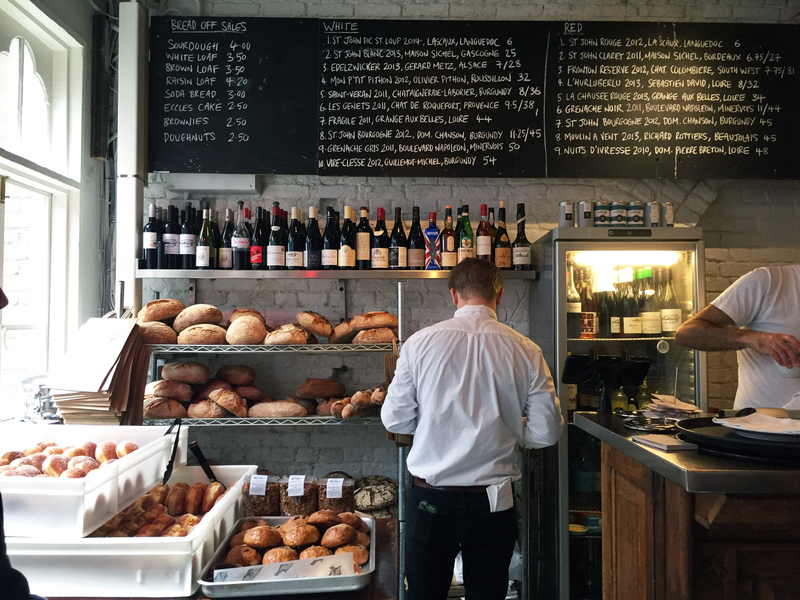 My first stop off the plane was to Borough Market, a culinary-mecca in the food market world. 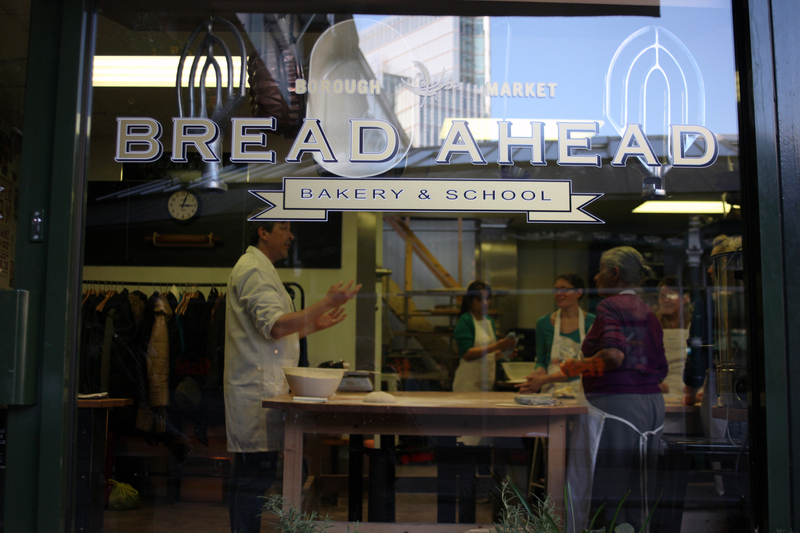 And inside this market is a year-old bakery called Bread Ahead. 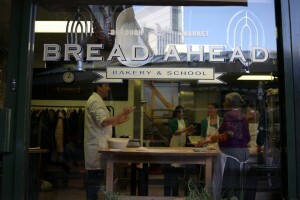 In addition to making delicious breads and donuts, they also have a baking school that you can take classes at. But I was here for the donuts. 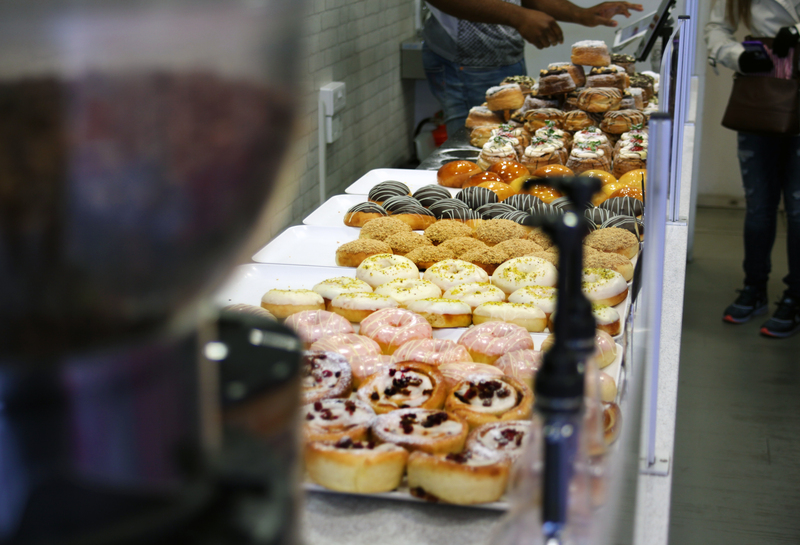 Depending on when you go, they’ve been known to have such flavors as Blueberry and Orange Ripple Custard, Velvet Chocolate, Hazelnut and Almond Praline, Lemon Curd, and Raspberry Jam. 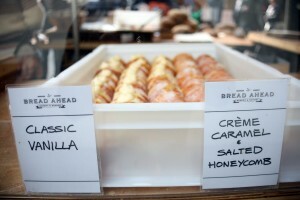 On my inaugural trip, I was greeted by two flavors: Classic Vanilla and Crème Caramel with Salted Honeycomb. 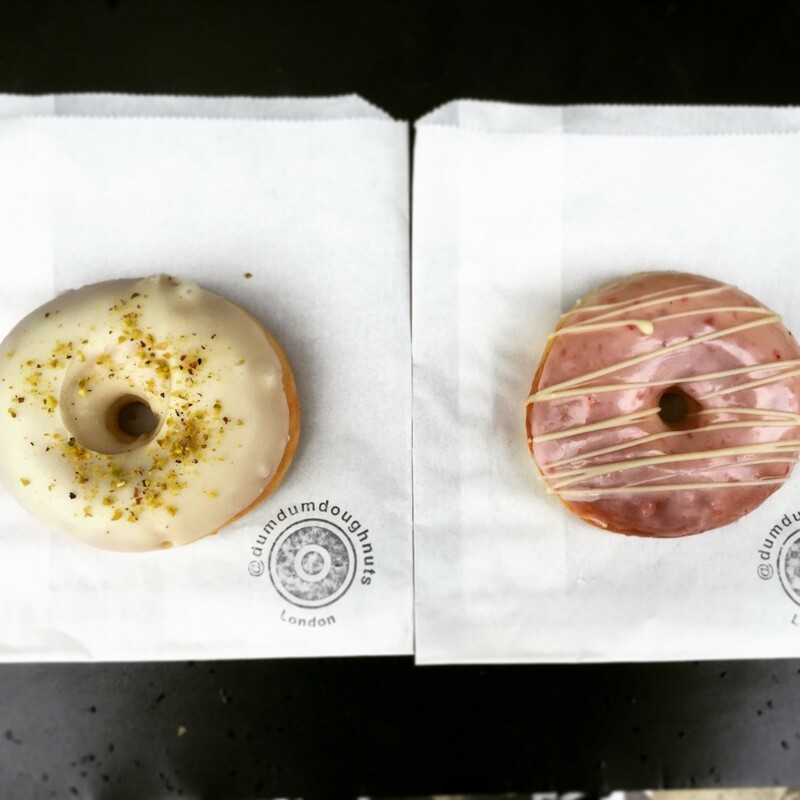 Both donuts were plump and delicate and coated with a fine sugar. The classic vanilla had a filling similar to vanilla pudding. 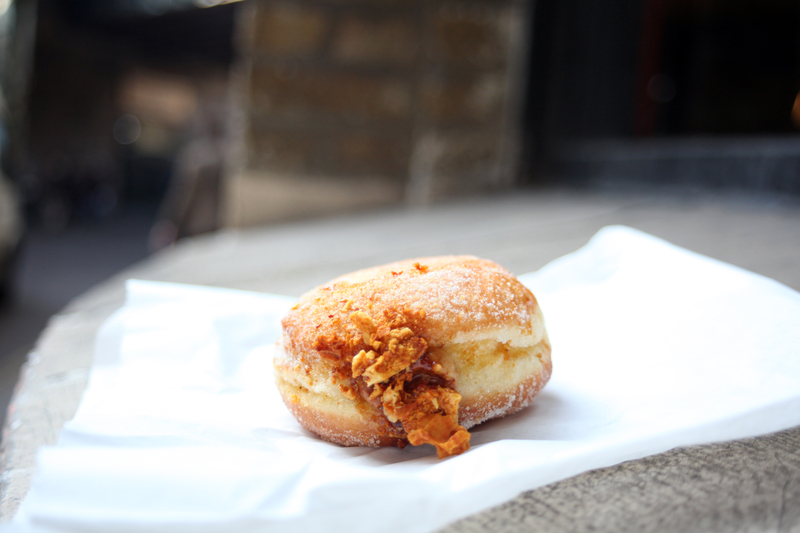 The pudding texture continued in the Crème Caramel donut, which was sublimely flavored. And the crunch of the honeycomb took it to the next level. 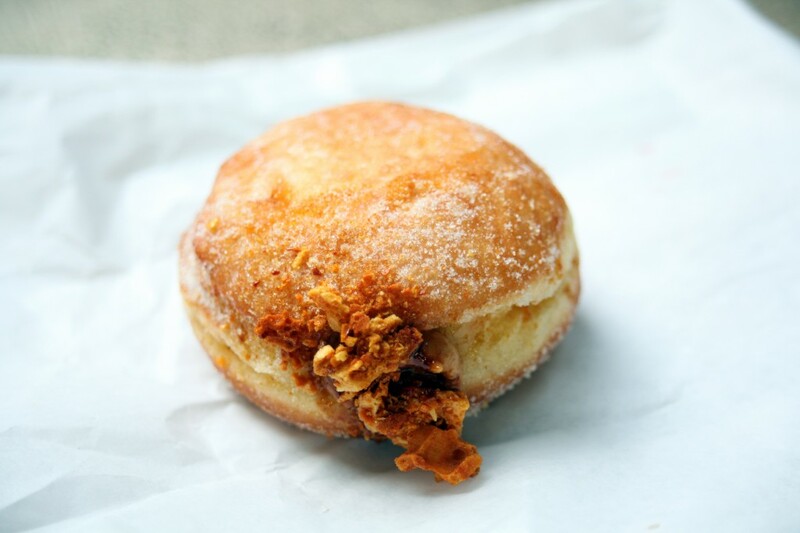 If you want Justin Gellatly’s donut recipe, head to this site or watch this video and try to mimic them. If you’re able to come close, just make sure you share one with me.